Throughout the years, the role of a manager has changed. Years ago, managers were thought of as people who were “the boss.” While that might still be true today, many managers view themselves as leaders rather than as people who tell subordinates what to do. The role of a manager is comprehensive and often very complex. Not everyone wants to be a manager, nor should everyone consider being a manager. Some would define management as an art, while others would define it as a science. Whether management is an art or a science isn’t what is most important. Management is a process that is used to accomplish organizational goals; that is, a process that is used to achieve what an organization wants to achieve. An organization could be a business, a school, a city, a group of volunteers, or any governmental entity. 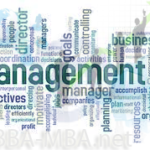 Managers are the people to whom this management task is assigned, and it is generally thought that they achieve the desired goals through the key functions of (1) planning, (2) organizing, (3) directing, and (4) controlling. Some would include leading as a managing function, but for the purposes of this discussion, leading is included as a part of directing. Organizing refers to the way the organization allocates resources, assigns tasks, and goes about accomplishing its goals. In the process of organizing, managers arrange a framework that links all workers, tasks, and resources together so the organizational goals can be achieved. The framework is called organizational structure, which is discussed extensively in another article. Organizational structure is shown by an organizational chart, also discussed extensively in another article. The organizational chart that depicts the structure of the organization shows positions in the organization, usually beginning with the top-level manager (normally the president) at the top of the chart. Other managers are shown below the president.